Check out the Rescue Store on Doobert.com! Did you know that Doobert has a Rescue Store? As an organization, you can add your products and those products will be seen by thousands of people across the country! How cool that someone across the country can support your organization from thousands of miles away by purchasing your product on the Doobert Rescue Store. We all need help spreading the word about the wonderful work we’re doing, right? Not only can you add your products to the Rescue Store, but we’ll randomly select products and promote them in our daily digest email, which reaches thousands of people every day! Just another tool that Doobert has in order to help bring more visibility to your organization from miles and miles away. 2. Select “Edit Profile Information Displayed” & scroll down to the PayPal Email ID section to enter your information and don’t forget to update. Now you’re ready to add your products to the Doobert Rescue Store! 3. 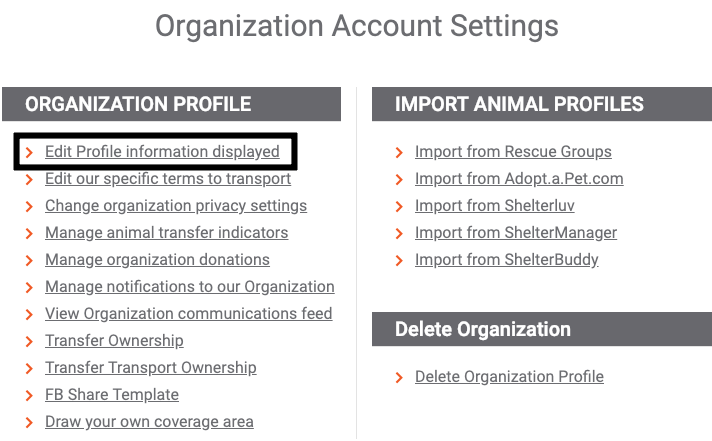 Back on your “My Organization Dashboard”, select the orange “Our Rescue Store” button on the right side. 4. 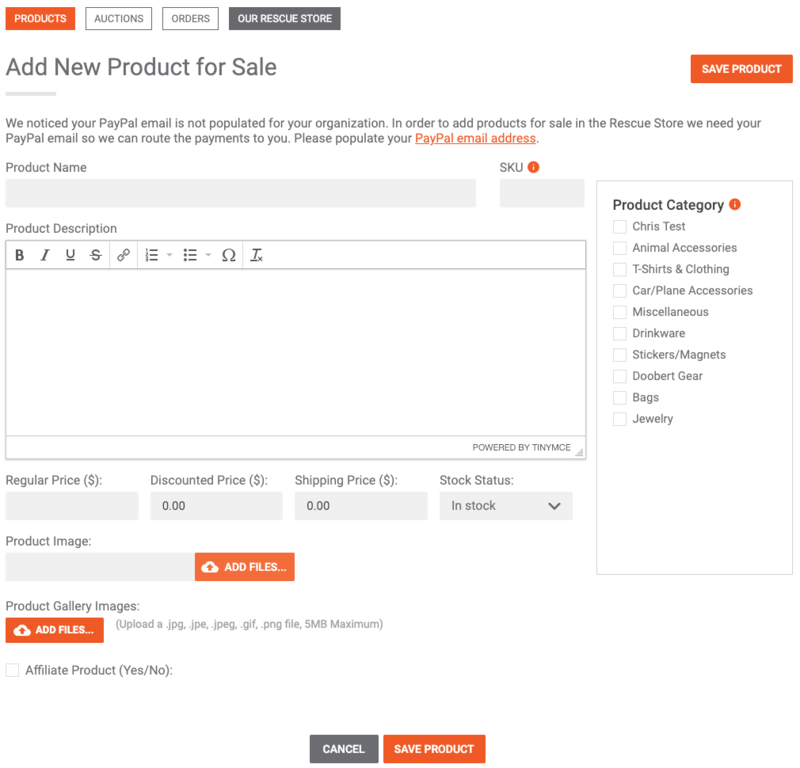 Select “+Add Product” & complete some basic information, including an image, select a category & don’t forget to add the cost of your product! 5. You’ll see your entered products on this page and you can add as many as you’d like – there is no charge! That’s it for this week’s tip. Got a question on Doobert? How about a suggestion for a tip we should share?